Michael S. Malone is an author, journalist and television host. After earning two degrees from Santa Clara University, he joined the San Jose Mercury-News as the world’s first daily high tech reporter. There, he was nominated twice for Pulitzer Prizes in investigative reporting. Malone has been a columnist for the New York Times, ABCNews and Forbes. At Forbes, he was editor-in-chief of the nation’s largest circulation high tech business magazine, Forbes ASAP. 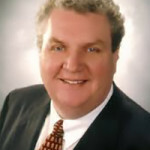 Malone is the author or co-author of nearly twenty books of business, history and biography, including several best-sellers. The host of four PBS interview series, he was co-producer and writer of the Emmy-nominated PBS primetime miniseries The New Heroes. A founding shareholder of several successful Silicon Valley start-ups, including eBay, in 2010 Malone was among the first to receive SCU’s Leader’s Legacy Award. For creating the Silicon Valley comes to Oxford program, now the largest event for entrepreneurs in Europe, Malone was named a Distinguished Friend of Oxford and Associate Fellow at Said business school. A regular op-ed contributor to the Wall Street Journal, Malone has three books slated for publication in the next year. He and his wife Carol live in the oldest frame house in Santa Clara Valley, and they are currently restoring a historic Oklahoma Land Rush homestead and farm. Malone now re-joins the faculty of the Department of English, where he will teach upper-division courses in Nonfiction Writing to help students learn about publishing in both print and digital media. On the Show, Malone discussed his book, The Intel Trinity. “Often hailed the “most important company in the world,” Intel remains, more than four decades after its inception, a defining company of the global digital economy. The legendary inventors of the microprocessor-the single most important product in the modern world-Intel today builds the tiny “engines” that power almost every intelligent electronic device on the planet. (Amazon.com)” One the segment with dave, Malone told the story of the beginnings of Intel, and how Robert Noyce, Gordon Moore, and Andy Grove passed through multiple other companies before forming Intel.